This is an epidermal disease with very large and clear boundary, sometimes in jagged shape. Café au lait spots are more difficult than you think, recurring quite often. Facial lesions are well responsive, compared to lesions in other areas. In this case, I performed 5 cycles of procedure because the prognosis seemed promising. 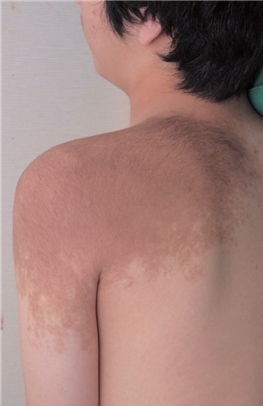 The boundary appeared thin, but part of the lesion became thicker, and PIH and hypopigmentation were developed. The patient wanted to continue the treatment and the lesion is getting thinner very slowly. 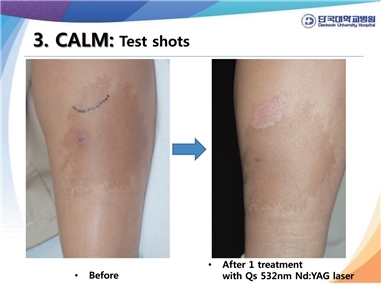 For larger lesions, test shot is irradiated first, and then the overall treatment is applied when the effect is positive. Melasma is commonly encountered in dermatology. 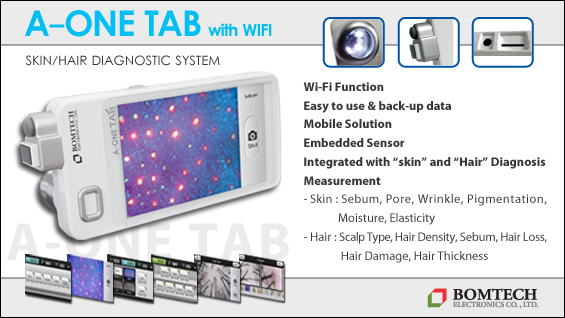 It is categorized to epidermal and dermal, but it is generally considered that both are mixed. Melasma is known to develop in all areas exposed to sunlight, and is particularly common among Asian women. 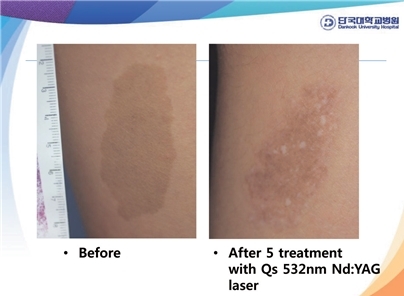 Recent trend in treatment is laser toning with Q-switched laser every 1-2 months. 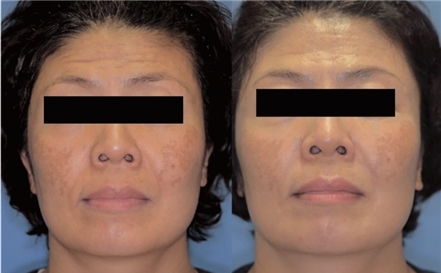 This was a melasma study using laser toning. 2.5J, 10mm spot was applied every 1-2 weeks in 22 female patients. 5 cycles of procedure reduced 20% of melasma. Patient satisfaction was as high as 80-90%, compared to 40-50% among the operators. Without disruption in daily life and pain, it is a procedure that can be applied without much burden. 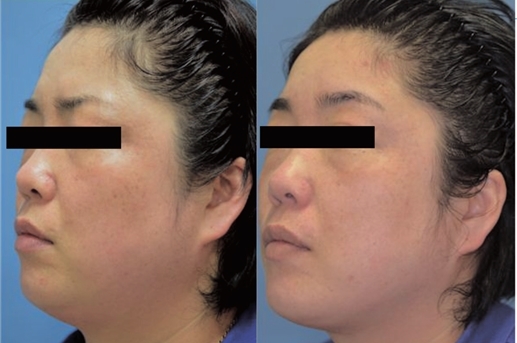 Although there was no evident effect, patients were satisfied that the skin was generally brighter. There was a little bit of pain and erythema, which were not serious. In overall, the density of the pigments seemed reduced. Better outcome is expected after 10 cycles of treatment. 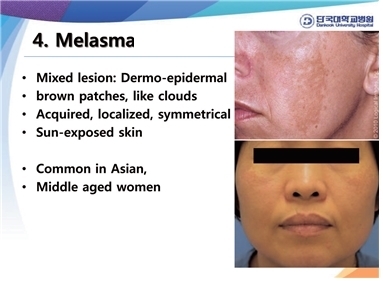 It was also reported in literature in Korea that 7-8 cycles of treatment reduces 50% of melasma. 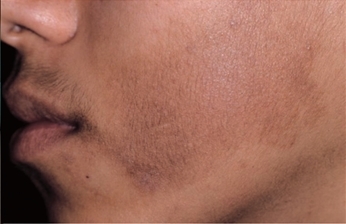 It is a pigmented disorder with hair, mostly common among adolescent male. It occurs mostly on the torso, but face is not an exception. Postoperative response is not very positive, and recurrence is often reported. Tattoo is the representative dermal lesion. A variety of dyes are used; red laser suits well with green tattoo and green laser with red tattoo. Tattoos with multiple colors tend to have inferior therapeutic effect. Amateur tattooists often use various colors deep in the skin. Nd:YAG 532nm covers red and 1064nm blue tattoo. Ruby or Alexandrite laser is considered as suitable for green or yellow tattoo. Recently released Alexandrite laser, equipped with pico second, is expected to be more effective for the treatment of tattoos.